The workplace is changing, blurring the lines between employees and technology, while at the same time organizations are shifting their focus from customer satisfaction to that of the employee. 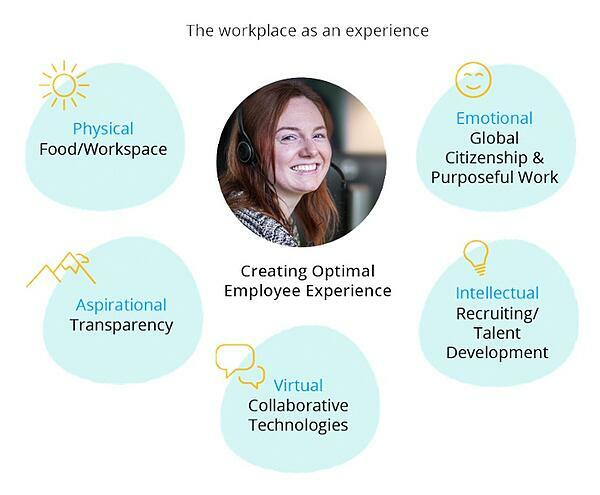 Welcome to the era of the employee experience (EX). The industrial era was focused on laborers and what they were able to produce with their hands. In the information age, knowledge became the new product, with a massive influence on the economy. But we've now entered the cognitive era and another change is underway. This development is being largely influenced by the increased presence of millennials and Gen Z in the workforce, along with the digitalization of nearly every aspect of our lives. The 9-to-5 workday is a thing of the past, and today’s millennials admit to being online and working almost constantly. Working like this, non-stop, has led employees to expect a new kind of relationship with and to their work. Smart companies are sensitive to this change. In fact, 83% of HR leaders now believe that the employee experience is either important or very important; 56% plan to invest more in training; 51% plan to improve the work spaces; and 47% plan to give more rewards. Apart from millennials and Gen Z, another large sector of the workforce asking for change are non-desk workers. 70% of today’s workforce don’t sit at a desk; they lack access to communication tools such as their company intranet and emails. Communication silos and information loops have become a persistent problem for many companies with mobile employees, especially for their communication and HR departments. Luckily, most employees do have constant access to their smartphone. With the growing number of freelancers, gig workers, and Gen Z flooding the workspace, communication that utilizes this tool will become a common practice for companies willing to embrace the possibilities of mobile communication. How might the Employee Experience benefit your career? Ongoing technological developments and new digital requirements are putting pressure on employers. Not only must they keep up in order to attract and retain talent, but their need for expansive mobile reach is greater than ever before. They're competing with social media for their employees’ attention, and they're being asked to provide a more consumer-like experience to their employees. Why Should Employers Embrace this Trend? According to a Gallup poll, US employee engagement has remained stagnant over the last several years at a miserable 32%, despite the fact that companies with highly engaged workforces outperform their peers by 147% in earnings per share. Smart companies have become adept at finding ways to effectively tackle the customer experience; smarter companies are now learning how to master the employee experience. With the US unemployment rate down to 3.9% as of April 2018, the war for talent is on. 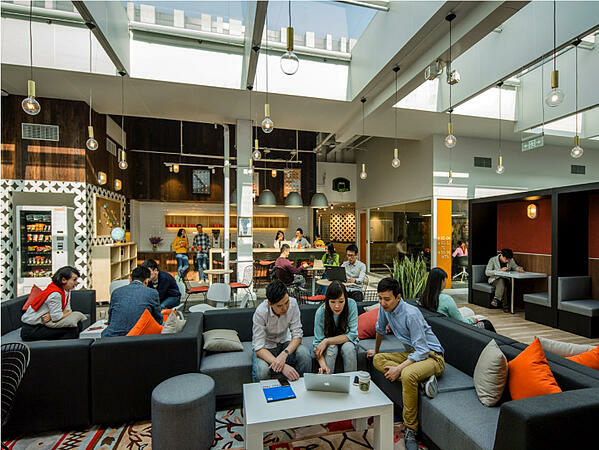 In order to attract and retain millennials and Gen Z, a holistic employee experience is needed. 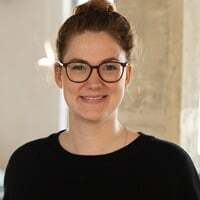 A improved employee experience is likely to result in a positive employer brand, a perception which is becoming just as relevant to business success as the customer brand. And that's not all. Millennials, who now make up the majority of the workforce, are job hoppers, generating turnover rates that cost the US economy $30.5 billion per year. 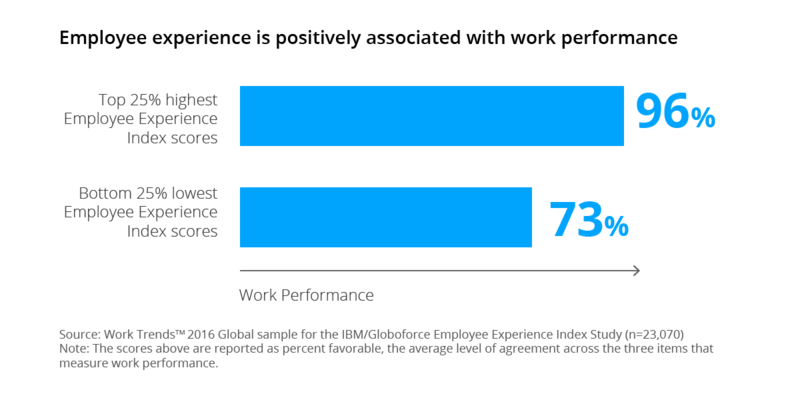 The Globoforce Employee Experience Study has found that EX is positively associated with work performance. The more satisfied and appreciated a company’s employees are, the more likely they are to work harder, ultimately resulting in greater performances. 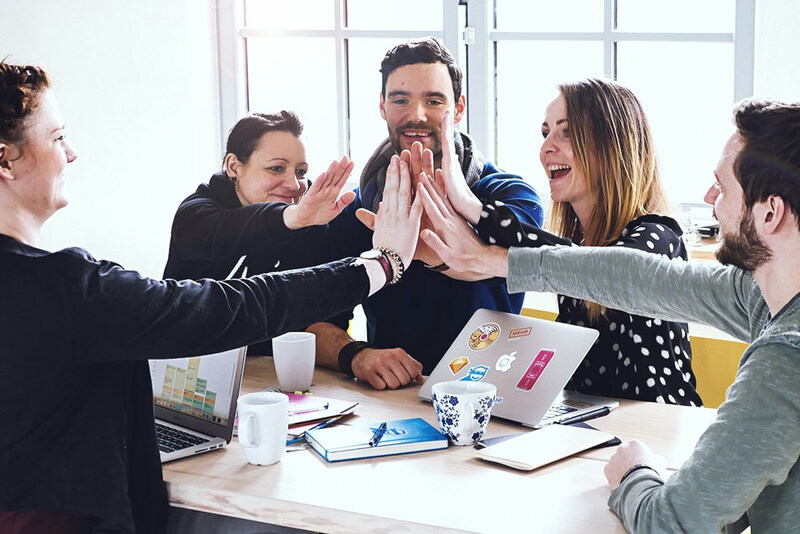 Employee experience is closely connected to employee engagement, but it's more actionable and less reductive, treating the employee and his or her relationship to the work they do in the broader scope of their lives in general. By taking this approach, the employee experience increases engagement, creating holistic work lives of the sort we'd all like to have. We spend most of our time at work. It’s consequently important to be in a place where you feel comfortable. If you had the choice, would that be a dark little cubicle, or a loft with bookshelves and plants growing on the windowsills? Exactly. Working in a comfortable environment isn't only connected to vague feelings of engagement, but having more light, air, and space results in improved physical wellbeing that influences our productivity, reducing headaches and fatigue, for instance. The technological environment refers to the tools your employees need to do their work. It includes telephones and computers, but it also pertains to apps, software, intranets, and e-learning opportunities. The main goal of workplace technology is to make your day easier. Slow, old, or non-existent technology makes processes strenuous and, quite frankly, wastes time that could otherwise be spent more efficiently. Popular technological devices include smartphones and laptops, tools most of us depend on every day. 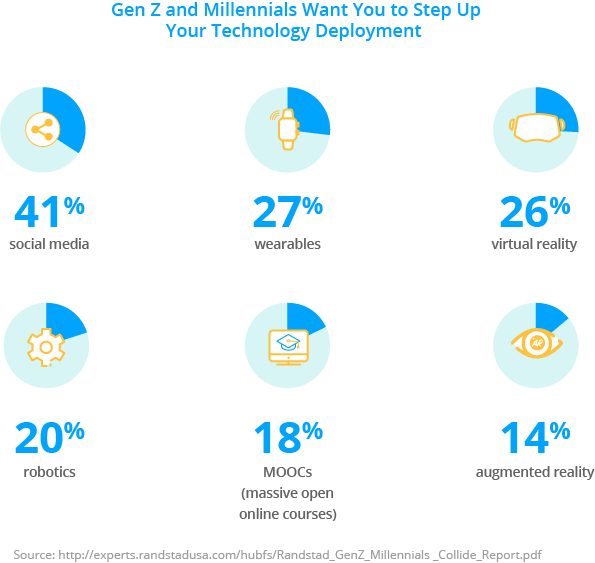 But younger generations in the workforce are asking employers to step up their game to utilize even more advanced technologies such as virtual reality and wearables. While these new technologies are no doubt exciting and hold many possibilities, one challenge will be to balance the practicality of their use with their potential to distract. Culture is probably the aspect of the workplace experience that is most talked about. It comes down to the feeling you get when you're working somewhere, the vibe of a place. It’s generally not something you can touch but rather a set of guidelines and behaviorisms that have been implemented in a workplace. There are some famous examples of companies that find unique ways to act out their culture. Netflix, for example, gives their employees unlimited vacation days. But culture is something that even small companies can establish, because it ultimately comes down to effective communication and treating each other well. You create a holistic experience that drives engagement and weaves work and life together. How Is the Employee Experience Actionable? If you're thinking about creating an employee experience that reaches all of your employees, including the ones who aren't sitting at desks or are working remotely, it makes sense to try and leverage the fact that these days, everyone carries a smartphone. 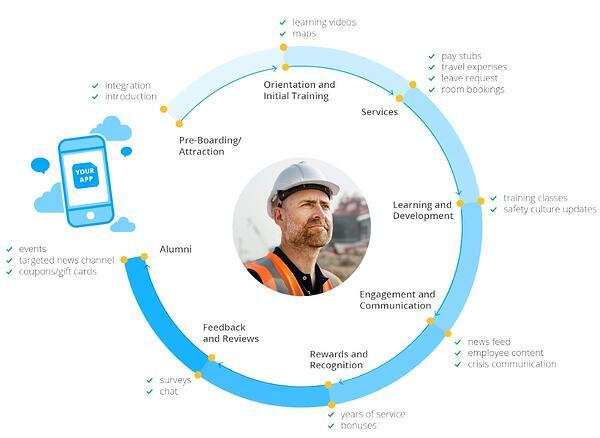 And facilitating the smartphone for employee communication is as simple as using an app. 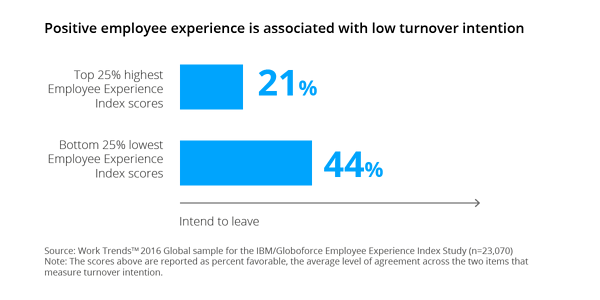 Not only does mobile communication with an employee app align with the digital roadmap, but it also directly influences the employee experience at every step of the employee lifecycle (ELC), which consists of all the steps or processes in which an employee participates during his or her relationship with an organization. While the ELC is mainly chronological, everything from engagement to feedback runs parallel and therefore needs to be coordinated constantly. In the above graphic, each step contains example use cases. Together, these use cases create a positive and ultimately human workplace experience that enables your employees to do their best possible work and attain their fullest potential. It doesn't matter to your employees if corporate news is published by Internal Comms, the annual employee survey is sent by HR, and the e-learning course is developed by the training team. In their view, it's all coming from the same place: your organization. It makes sense then that it all be accessible through one portal in order to create an enjoyable, unified employee experience. Private smartphones offer the best possible channel for reaching all of your employees. With an app at the foundation of your employee experience initiatives, you will be giving your workforce a single point of identification with your company. Branded with your own logo, an employee app will become the go-to place for interacting with your company. It’s easy to think of the employee experience as just another buzzword in internal comms and HR, a concept bred in Silicon Valley. But it's really just another way of thinking about the ways we work and interact with one another. The Staffbase app is a tool that makes implementing the employee experience concept easily actionable, no matter how large or dispersed your workforce. And to quote author, motivational speaker, and marketing consultant Simon Sinek, “Customers will never love a company until the employees love it first.” The goal of creating a compelling employee experience is ultimately the goal of driving your company forward. Should you like to learn more about the employee experience, mobile internal communication, and the digital workplace, feel free to contact us or leave a comment below.